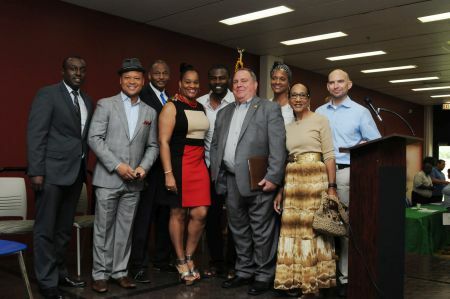 Earlier this month, Senator Lightford (D – Maywood) and the Illinois Legislative Black Caucus teamed up with Chicago & Cook County Building and Trades, Dawson Technical Institute – a pre-apprenticeship job training center for construction and utility trade careers – and the Illinois AFL-CIO to provide much needed guidance for people looking for promising careers by hosting a Pathway to Apprenticeship Informational Fair. On July 20, the event gave 88 eager apprenticeship seekers information on when applications for specific apprenticeships are accepted, necessary qualifications and contact information for Apprenticeship schools. Representatives from 17 unique trades provided crucial knowledge from experts on how to navigate the process of finding the right apprenticeship program in the right career field. 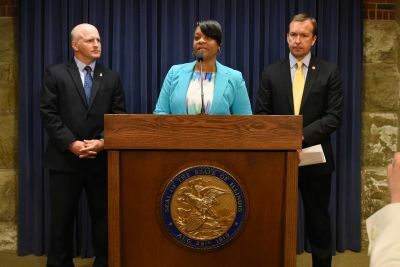 Event participants were greeted by Senator Lightford – Chair of the ILBC, Tom Villanova – President of the Chicago & Cook County Building and Trades, Robert Barnett – Dawson Technical Institute Dean, and Jason Keller – Legislative Director of the Illinois AFL-CIO. 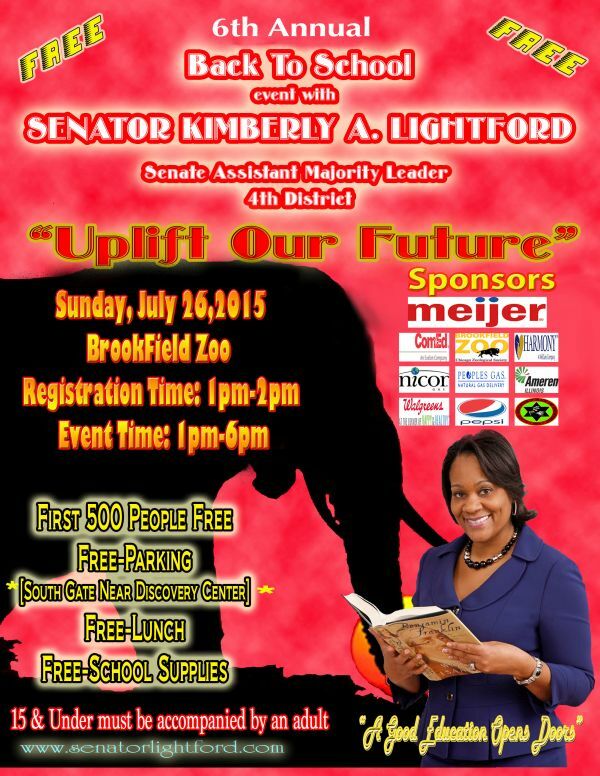 Also joining Senator Lightford in greeting and interacting with the event participants were fellow ILBC Chicago members, Senators Jacqueline Collins (D –16th), Mattie Hunter (D –3rd) and Patricia Van Pelt (D –5th), as well as Representatives LaShawn Ford (D –8th), Camille Lilly (D –78th) and Kenneth Duncan (D –5th). Check out the photos from the Pathway to Apprenticeship Fair below! SPRINGFIELD: A new plan proposed by Senate Democrats and strongly supported by Assistant Majority Leader Kimberly A. Lightford (D – Maywood) would strike a compromise between Democrats and Republicans by instituting critical education reform while also fulfilling one of Governor Rauner’s key turnaround agenda demands: a property tax freeze. The legislation enacts this needed property tax freeze for homeowners, while also reforming education funding and protecting Chicago schools’ teachers. “Keeping teachers in the classroom must be one of our top priorities because they hold the key to our children’s futures in their hands,” said Senator Lightford. Under the proposal, the state would pick up the cost of Chicago teacher pensions. Chicago taxpayers currently double-pay, paying for CPS pensions and all other school districts’ teacher pensions. 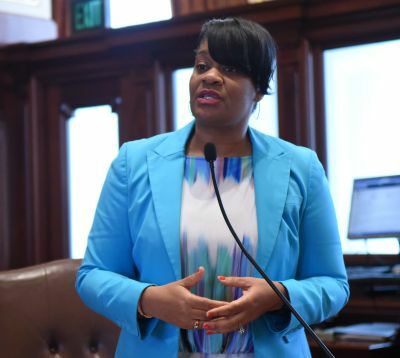 The senator believes that through this legislation, the state can finally responsibly address the interdependent issues of ever-rising property taxes for homeowners, unfunded Chicago teacher pensions and unbalanced school funding. 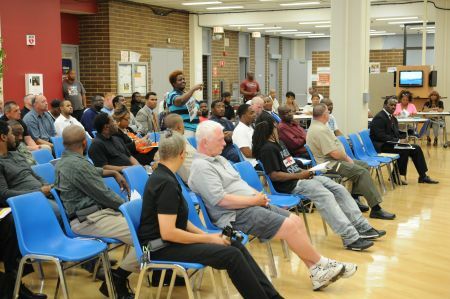 While enacting a property tax freeze on all taxing districts for the next two years (excluding Chicago for the first year because of its unique property tax cycle), the plan also provides much-needed dollars for school districts most adversely affected by under-funding of General State Aid and calls for the creation of a General State Aid Commission to submit a revised, more equitable, school funding formula by the end of next year. “We, as a state, must be innovative in how we sustain and improve our education system. The burden cannot continue to fall so hard on local homeowners to provide the necessary funding to keep our education system healthy. This must change, but keeping schools open, teachers teaching and all of our children learning in Chicago is a cause we must embrace,” Lightford said.